Lowrider pulley is a replacement for the stock Harley V-Rod pulley. 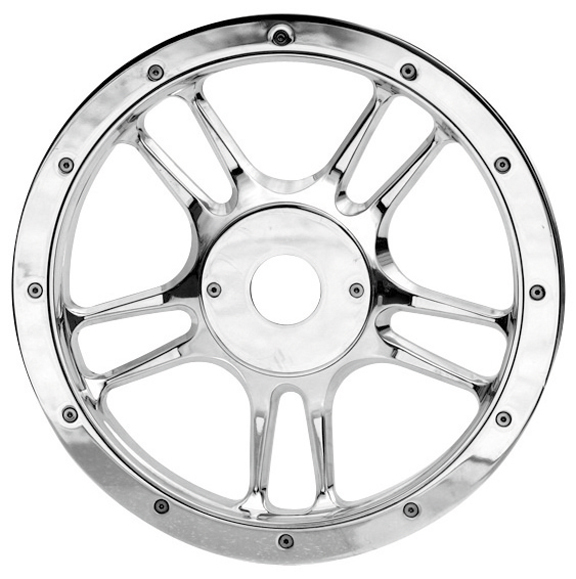 This pulley for V-Rod is machined out of 7075 billet aluminum and come in polished finish. 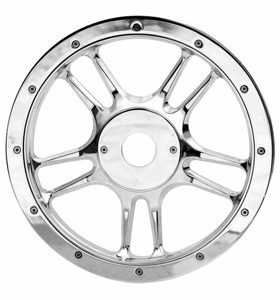 Lowrider pulleys and 3D Lowrider Custom Motorcycle Wheels for V-Rod are machined to accept the stock cush drive dampening system. This replacement for the stock Harley V-Rod pulley perfectly matches our 3D Lowrider Custom Motorcycle Wheels for V-Rod and Lowrider Rotors for V-Rod and works great with our Rear Caliper for Pulley-Brake Kit for V-Rod.